On Monday, we found out – for the record – that while Democrats are willing to go to the mattresses to protect the rights of illegal aliens to move into this country unimpeded, they are not willing to lift a finger to protect unwanted infants born to mothers in the United States. In fact, they are glad to stand up and object when a Republican calls for a unanimous vote to protect the lives of the newly born. 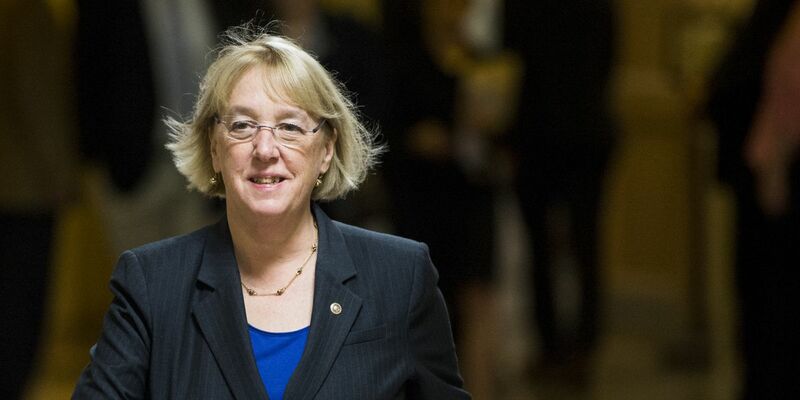 That’s exactly what Sen. Patty Murray (D-WA) did when she blocked Sen. Ben Sasse’s legislation from moving forward. Murray was referring to the Virginia abortion bill that has come under considerable scrutiny over the past week – a bill that inspired two of its defenders to make extremist statements about the extent to which doctors and mothers could make the decision to end a child’s life. Before he was enveloped in a blackface controversy dating to the 1980s, Virginia Gov. Ralph Northam made shocking remarks about what the new bill would mean for infants born alive after an attempted third-trimester abortion. To say this did not sit well with conservative America would be an understatement; one almost wonders if this blackface controversy was engineered to take Northam’s shocking pro-infanticide remarks out of the conversation. Conspiracy theories aside, Sen. Sasse did not forget the remarks, nor did he want Congress to remain silent in the face of such evil. Introducing a bill that would punish doctors who fail to “exercise the proper degree of care in the case of a child who survives an abortion or attempted abortion,” Sasse was fired up on the Senate floor. Yep. And Democrats have chosen their side.